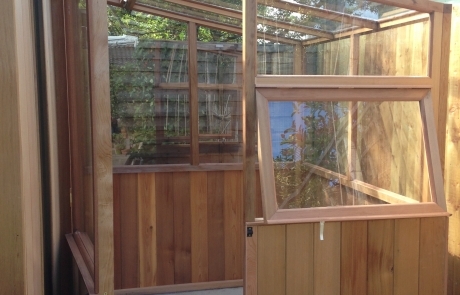 David and his family wanted us to build them a den in the garden with a storage area and greenhouse. 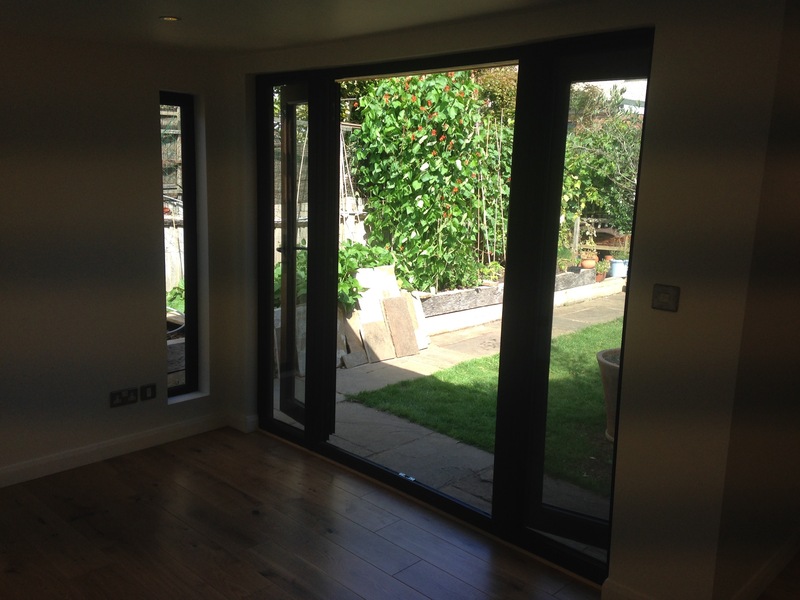 They chose an Abri studio with dark grey French doors, with a full length picture window, and a frosted, horizontal picture window along the side of the room to let in lots of light. 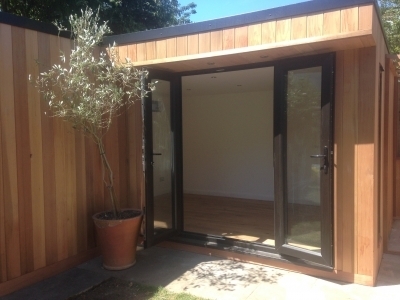 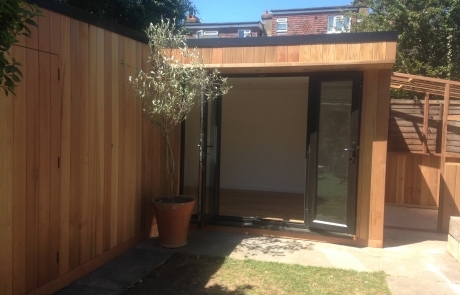 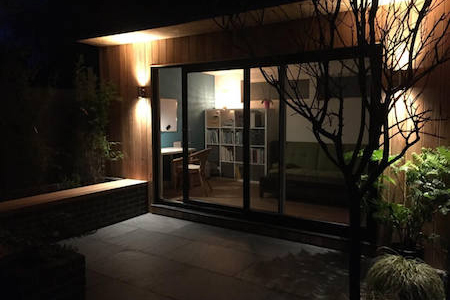 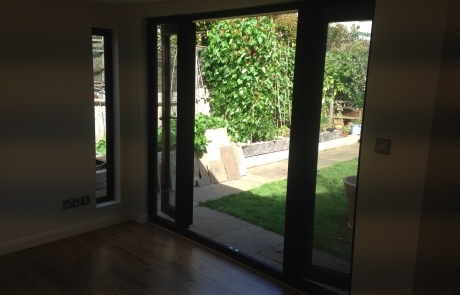 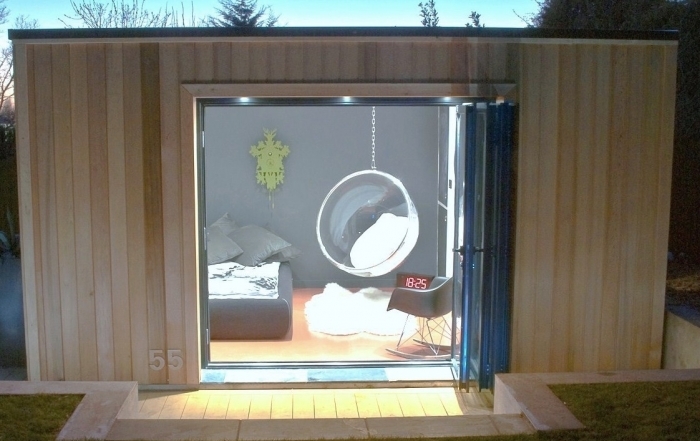 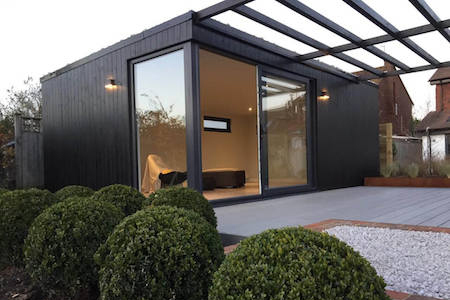 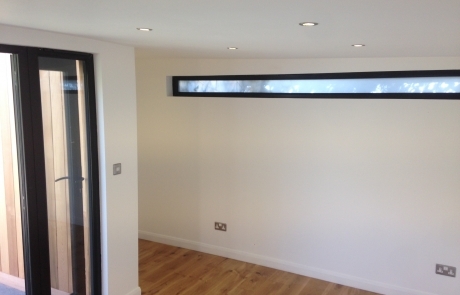 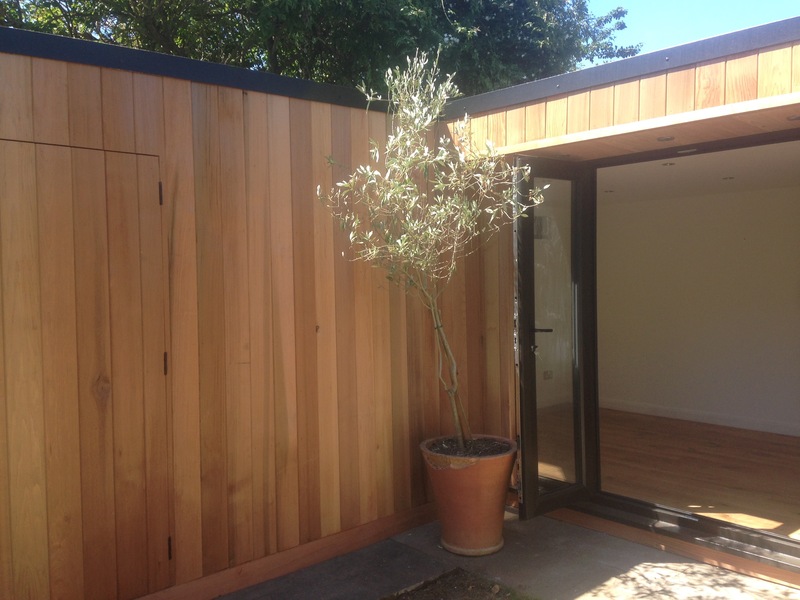 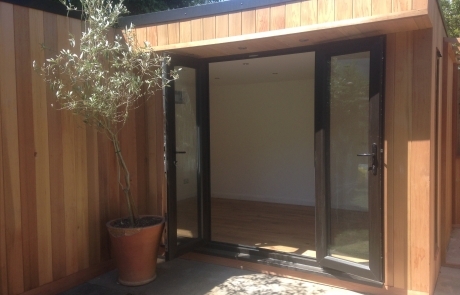 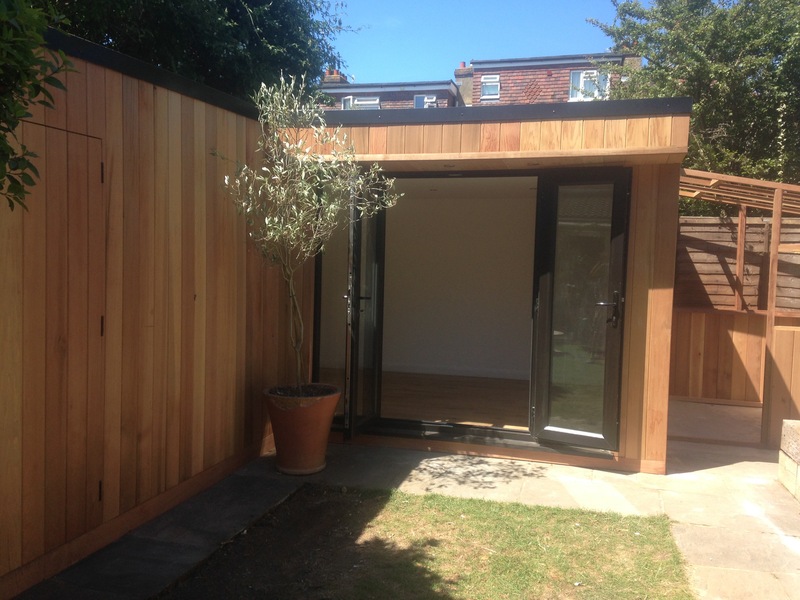 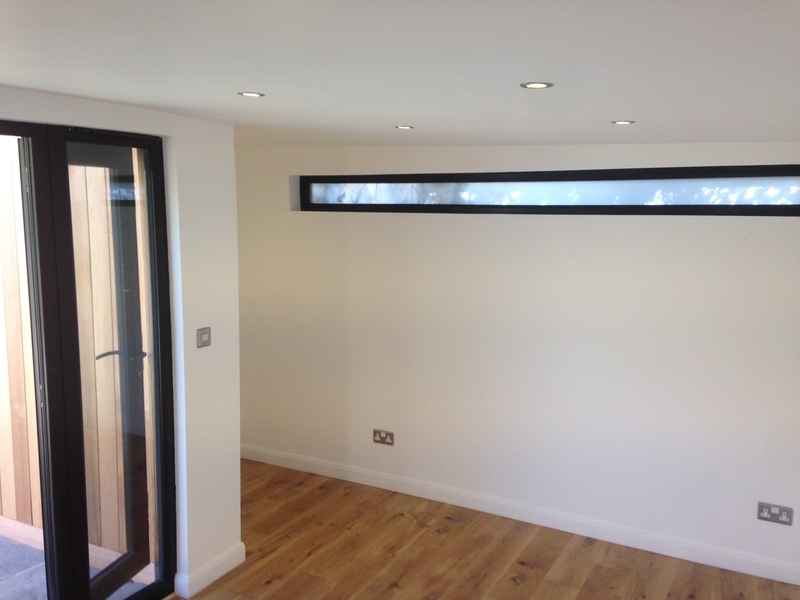 We created a large storage area to the side of the garden room, accessible via a hidden door from the outside. 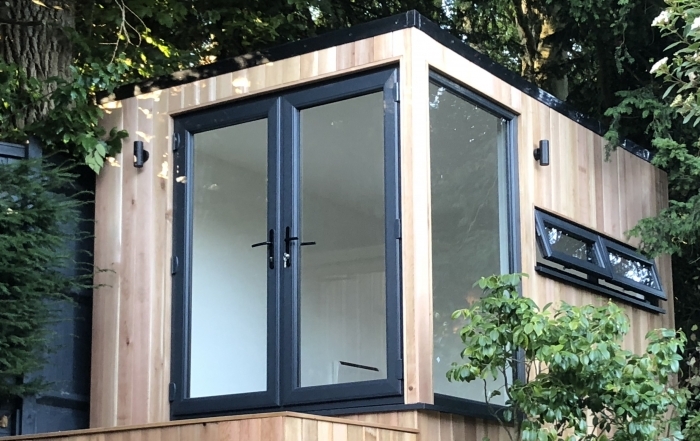 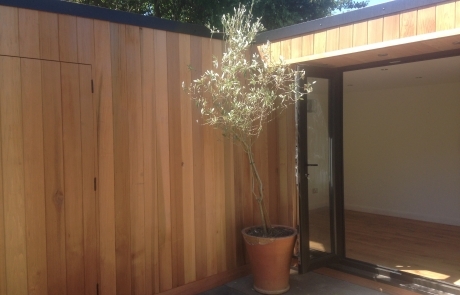 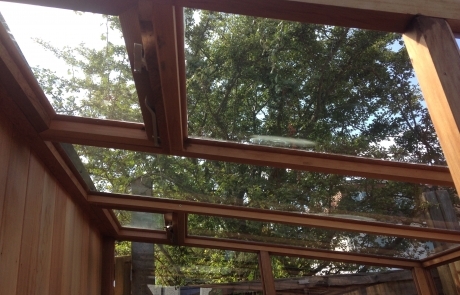 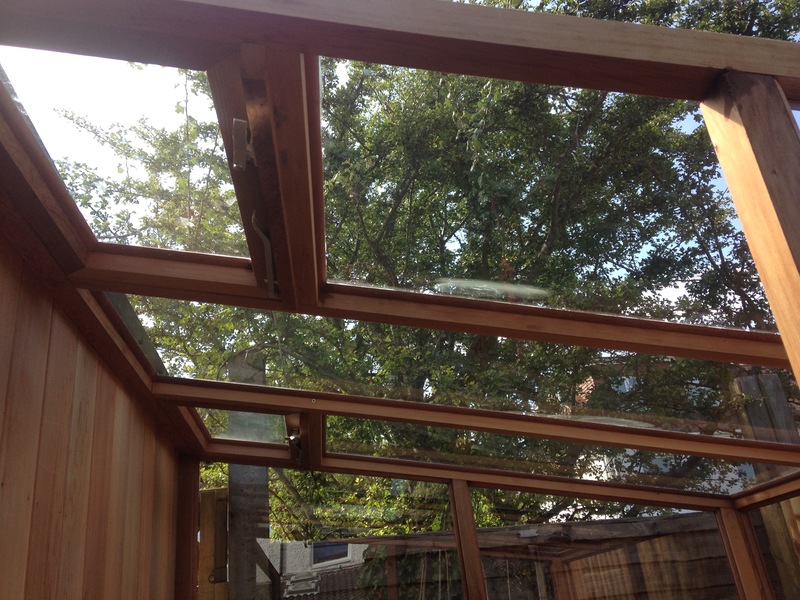 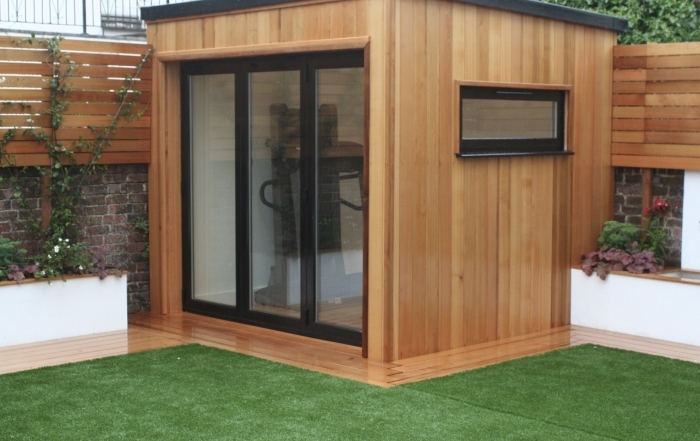 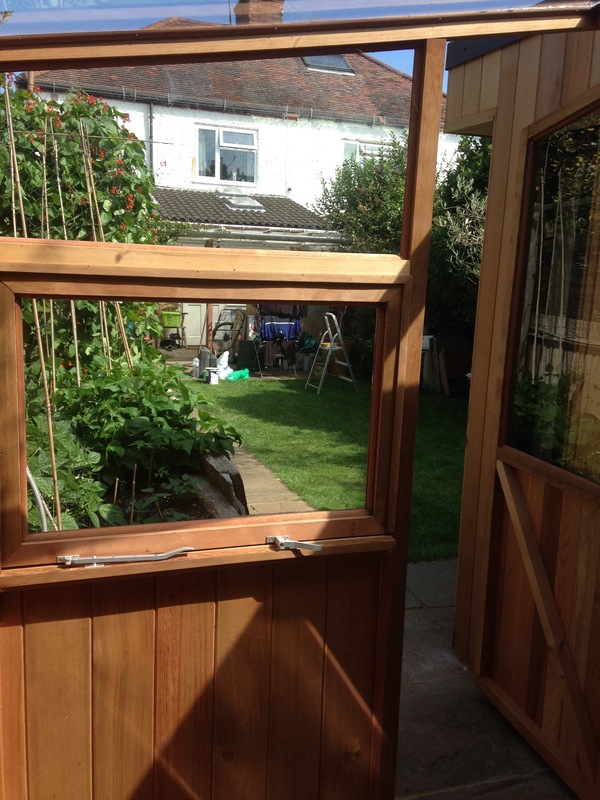 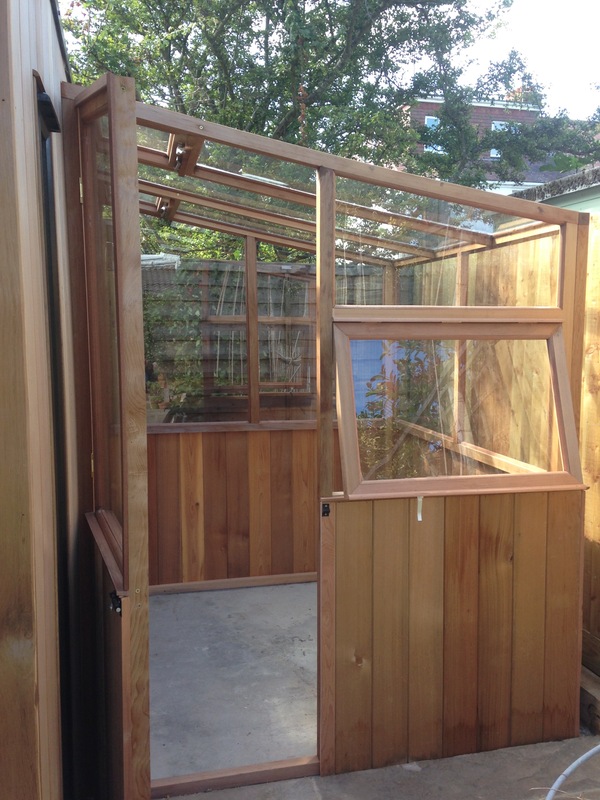 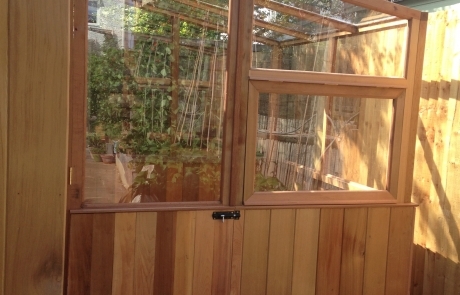 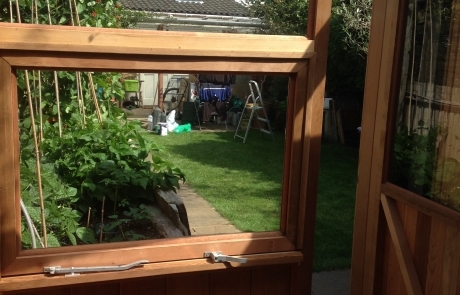 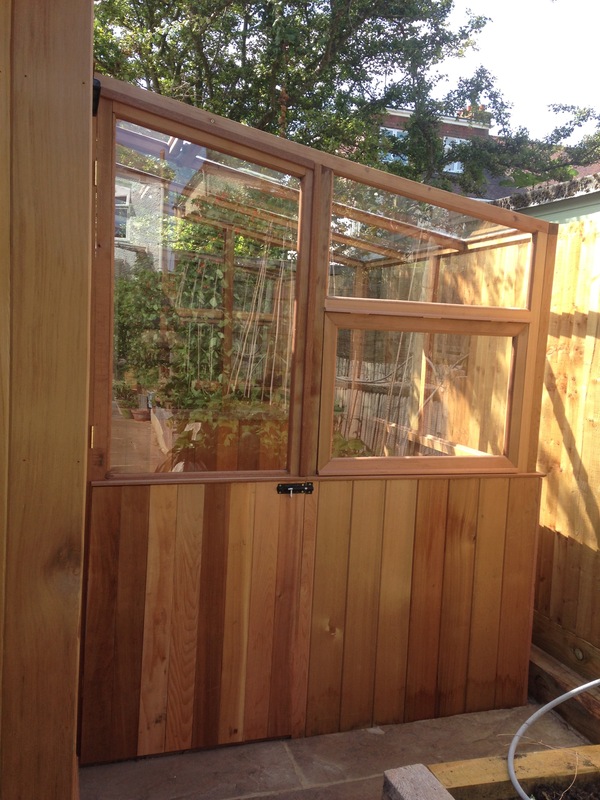 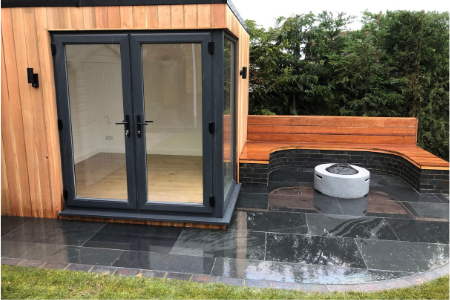 The adjoining greenhouse frame was constructed from the same red cedar as the cladding, to create a beautiful and practical building which fits perfectly in the garden space.